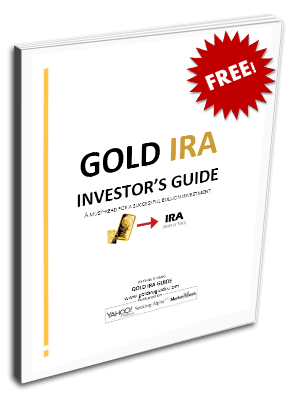 Gold IRA GuideIRA 401(k) vs. Gold IRA – Which Retirement Savings Plan is the Safest and Most Profitable? 401(k) vs. Gold IRA – Which Retirement Savings Plan is the Safest and Most Profitable? Saving for your retirement and properly investing your savings is not always as straightforward as it may seem, as there are numerous plans and options to be considered. The most popular type of retirement account is a 401(k). However, another popular option that is sometimes used in addition to or in place of the 401(k) is the individual retirement account (IRA). Although 401(k) plans are typically employee-sponsored, there are also solo 401(k) accounts for self-employed sole proprietors. So contrary to popular misconception, the key difference between a 401(k) and an IRA lies not in whether the plan is offered through an employer (self-employed individuals can start their own 401k as well) – the real distinguishing features are the investment capabilities, tax implications, contribution limitations, and withdrawal terms that define each account type. A self-directed IRA lets you use your retirement savings to invest in a broad range of investments. An IRA in which the value of the account is held in precious metals rather than cash is called a “precious metals IRA.” Likewise, an IRA in which the value is held in physical gold is often referred to as a “Gold IRA.” While these accounts are used to store precious metals instead of cash, the monetary value of the metals can be used to invest in a variety of financial instruments. Despite their nicknames, remember that these accounts are typically self-directed IRAs, so in this post we'll actually be comparing 401(k) accounts to self-directed Gold IRA accounts. There are yearly limits on the amount of money you're allowed to contribute in each type of retirement account. The IRS changes these limits from year to year. For the 2014-2015 tax season, the amount of money someone can put into their 401(k) is limited to $17,500 for individuals 49 and younger, or $23,000 for individuals over the age of 50. If you contribute less than the maximum allowed amount one year, and you're over the age of 50, you can make up for it by making catch-up contributions the next year, and those won't count towards your yearly total. However, there is a $5,500 yearly limit on catch-up contributions. Your employer will typically match and contribute the equivalent of up to 6% of your yearly salary to your 401(k) account as well. In other words, if your annual salary is $100,000, then your employer will contribute up to an extra $6,000 per year into your 401(k) account (provided you contribute that amount or more). Self-employed sole proprietors with solo/individual/one-participant 401(k) plans are allowed to save the most, with the total annual contribution limits for those accounts being $52,000 for people under 50, or $57,500 for people over 50. The yearly limits on Gold IRAs are much lower – at the moment you're only allowed to contribute $5,500 towards an IRA each year, and catch-up contributions are limited to $1000 per year, but again only individuals aged 50 or older can make catch-up contributions. Someone over the age of 50 who is contributing to an employer-sponsored 401(k) and a separate IRA at the same time could stow away a total of $28,500 per year without catch-up contributions, or $35,000 with catch-up contributions. If you still have a 401(k) with your current employer, the good news is you can still open a self-directed IRA and contribute to it alongside the 401(k), thereby maximizing your retirement savings potential. The exact investment capabilities and structure of each account will differ depending on the terms set forth by your employer (in a 401k) and/or the company in charge of managing the plan and its investments (in a Gold IRA). . Your plan sponsor will typically put another company in charge of investing the funds contributed to your 401(k) plan – usually a mutual fund company, brokerage firm, or even an insurance company. Most 401(k) plans let you invest in 5 or more mutual funds within the financial sector. You may also have the option of investing in the company stock of your employer – some companies automatically invest their employees' 401(k) funds in the company's own stock, which would mean the success of your investments would rest on the performance of your employer's stock, so it's always important to carefully review the terms of your 401(k) plan. In a self-directed IRA you have the ability to invest your savings in virtually any type of common investments seen in most portfolios, including stocks, bonds, ETFs, Certificates of Deposit (CDs), real estate, and precious metals like gold, silver, platinum and palladium. A Gold IRA provides a centralized account in which to create and maintaining a well-diversified retirement portfolio, all backed by Gold and/or other precious metals. Utilizing your self-directed IRA to invest in physical gold is one of the best ways to preserve and increase the value of your retirement savings. Overall, a self-directed IRA gives you more freedom to invest in a wider range of financial instruments outside of the mutual funds that a 401(k) is usually limited to.So if you have money sitting in an old 401(k) account, or if you've retired and your 401(k) is no longer being contributed to, the wisest move may be to rollover the funds into a self-directed IRA so that the money can be put to better use. As you probably know, contributions to employer-sponsored 401(k) accounts are automatically deducted from your paycheck, typically on a pre-tax basis (although not always – again, depending on the plan terms). Pre-tax contributions are deposited into the account before taxes are taken out. The taxes will be taken from the contributions as they are withdrawn from the account during retirement, according to the tax rate that is applicable at the of the withdrawal. Roth 401(k) plans (and some traditional 401(k) plans with special terms) offer a bit of an advantage in this regard, as they allow for post-tax contributions – meaning taxes are taken out of contributions upfront so that you don't get stuck with the tax rates of the future (which will probably be higher) when you start withdrawing the funds. Contributions to a self-directed IRA are tax-deductible, so you can file your contributions as deductions/write-offs when you do your taxes. If you file the contributions as deductions then they'll be classified as pre-tax – which means taxes will be taken out as the funds are withdrawn after you've retired, so you won't pay any capital gains or income taxes upfront). However, if you don't file them as deductions then they'll remain post-tax contributions. The exception to this rule being in a Roth IRA, in which all contributions are post-tax – which means contributions are added to the account after taxes have already been deducted. As mentioned above, making contributions post-tax may actually save you money if tax rates wind up being much higher during your retirement (and with inflation factoring in they probably will be). It is important to note that you'll have to pay more attention to your investment decisions within a self-directed IRA, as certain mistakes could make you vulnerable to tax penalties, which is why it is always best to consult with a trusted custodian that will help guide you through the process of safely investing in a Gold IRA. If you withdraw savings from your 401(k) before the age of 59 ½ this action is referred to as an early distribution, and it will be met with a federal tax penalty equal to 10% of the withdrawal amount, plus any applicable income taxes. Most 401(k) plans will not give you the option of making an early withdrawal if you're still employed by the plan sponsor. Wells Fargo has a very useful early withdrawal cost calculator. Withdrawing funds from an IRA before the age of 59 ½ will also result in a 10% federal tax penalty, as well as any applicable income taxes. One of the biggest problems about withdrawing from an IRA early is that you stand to lose some of the assets and investments that are supposed to be appreciating in value within the account. The same thing happens with a 401(k), except you're only losing your stake in a mutual fund or other security, which doesn't seem as bad as sacrificing physical precious metals or other common IRA investments in exchange for an early withdrawal. If you've already retired, or if you've switched jobs and have some funds sitting in an old 401(k) account, you may be wondering how you can move those funds to another account for further investment. Rolling a 401(k) into a Gold IRA is actually a fairly simple process with the right assistance, and it won't cause you to incur any additional taxes or penalties. Your first step is to find a reputable gold IRA company. We have reviewed over 70 of them on this page. It may even be possible to roll over the 401(k) you have with your current employer, but only if you're over the age of 59 ½, and your plan sponsor (employer) allows in-service distributions, which is relatively uncommon. Keep in mind that if you stop contributing to your 401(k) then you'll be missing out on your employer's matching contributions, which is like passing up on free money, so opening an IRA and contributing to it alongside your employer-sponsored 401(k) is never a bad idea. Although you're able to contribute more to a 401(k) per year, which means your savings will accumulate faster than in a self-directed IRA, if you already have a significant amount saved in an old 401(k) (or a current one that allows in-service distributions), then rolling those funds over into a self-directed IRA to invest in more profitable and secure instruments would be a wise choice, especially given today's uncertain economic landscape. In summary, 401(k) plans let you contribute more savings per year and are easier to manage, but they're not as profitable or flexible as self-directed IRAs, and perhaps most importantly – these types of IRAs let you invest your retirement savings in physical gold and other value-retaining precious metals, which could turn out to be a real difference-maker as the value of the U.S. Dollar continues to depreciate. If you have a 401(k) that your employer contributes to, it's best to keep contributing to it so that your employer will continue to match your contributions – again, that's free money. Remember, even if you don't want to or can't rollover your 401(k), you can still open an IRA separately and contribute to it alongside your 401(k).